Eff likes to play with tentacles! : Got milk? 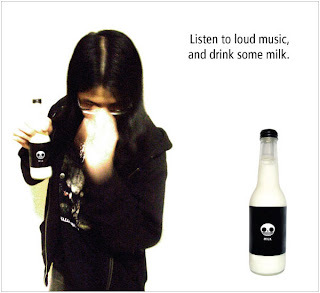 Well, I'm pretty much done for the final project which was the milk bottle packaging design, and did some fake ads too. I hope they look young enough because the milk is supposed to be targetting at teenage males aging from 13-18. Which is why I'm going to leave out the group shot because I think Spike and Aman look old in those photos. 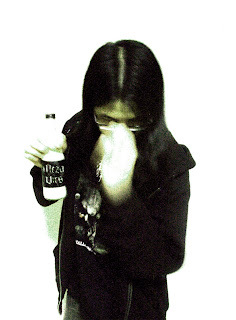 I did a Meza Virs pic for Ced as well because I thought it was funny, mmheh. After tmrw I guess I'm pretty much officially free for the holidays, but I think I just really need to get some sleep after last night's insane Halo/beer action at Ceds party. 25/25 - 14/14.